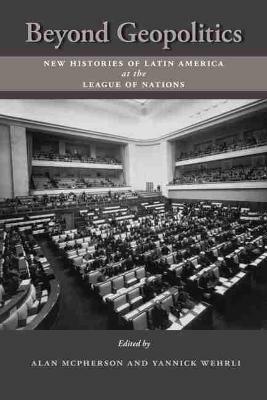 Even though it failed to prevent World War II, the League of Nations left a lasting legacy. This precedent-setting international organization created important institutions and initiatives in labor, economics, culture, science, and more, from the International Labor Organization to initiatives targeting education, taxation, nutrition, and other issues. Otherwise marginalized in global diplomacy, Latin Americans were involved, and often acted as leaders, in many League-related activities and made a number of positive contributions to the League. In this book foremost scholars from Europe and the Americas consider Latin American leadership and experiences in the League of Nations. Using research in frequently overlooked collections, Beyond Geopolitics makes groundbreaking contributions to the study of Latin American international relations, the history of the League of Nations, and the broader story of cooperation across borders.